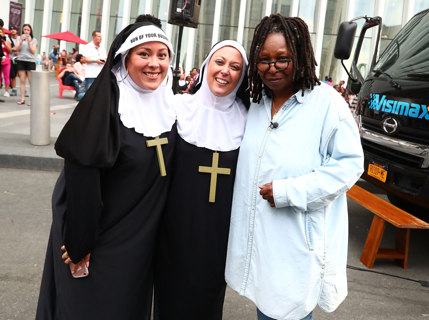 On Thursday, August 3, Westfield World Trade Center in partnership with Tribeca Film celebrated the 25th anniversary of the popular 1992 hit feature film Sister Act starring Whoopi Goldberg. 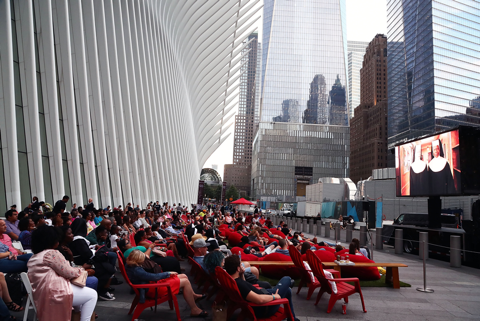 To mark this milestone, an invite-only special screening of the movie was projected at the impressive open air outdoor space at Westfield World Trade Center, Oculus Plaza. Attendees were treated to a nice surprise when Whoopi Goldberg herself showed up to introduce the movie!